Generic Effexor (Venlafaxine) falls in the category of antidepressant medications known as SSNRIs (selective serotonin and norepinephrine reuptake inhibitor). It is useful in treatment of MDD (major depressive disorder) and panic disorder. Venlafaxine is available in tablet and capsule forms in different strengths. You must confirm the advantages and the hazards of this medication with your health care provider. This is an orally administered medication. The dosage may vary from person to person as it is decided after considering your medical state and the way you respond to the treatment. Take the precise amount of dose as directed by your health care provider. Do not try to change the dosage quantity on your own. Take the whole tablet or capsule with plenty of water. Do not break or crush it. Do not discontinue this medication abruptly without consulting your health care provider as it may have adverse effects. You may need to take it at least for 4 weeks to get the desired results. Venlafaxine can be dangerous for the unborn baby and may cause birth defects if it is taken in late pregnancy. Avoid taking this medication during pregnancy without consulting your health care provider. Also let your doctor know if you are planning to become pregnant. This medication passes into breast milk and may have adverse effects on the nursing baby; for this reason you should not take Effexor if you are nursing your baby. If it is essential to take this medication, do not take it before consulting your health care provider. Effexor should not be given to children below the age of 18 years. If you are required to undergo any kind of surgery, let your surgeon know that you are presently taking Effexor. Do not miss any appointments with your health care professional as it will be helpful for him or her to observe your progress and to check for any side effects. You should store Venlafaxine at room temperature and keep it away from excess heat and moisture. Avoid storing it in the kitchen or bathroom. It should be kept away from the reach of children. You should dispose of all unwanted and expired medicines without delay. Ask your doctor or the local pharmacist the appropriate way of disposing of this medication. 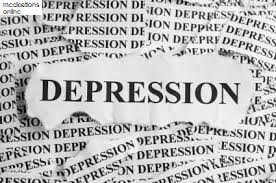 Effexor is used as an antidepressant to treat major depressive disorder. Venlafaxine works on chemicals in the brain that are imbalanced and cause symptoms of depression. It is effective in treating anxiety and panic disorder. Effexor can be used to treat other medical conditions. To know more about the other uses of Effexor you can talk to the pharmacist as and when you buy Effexor from your neighboring drugstore. If by any chance you take an overdose, look for medical attention immediately. You can also call the Poison Control Center at 1-800-222-1222 or local emergency services at 911. Overdose signs may comprise nausea, vomiting, blurred vision, seizures etc. Do not share your medicine with anyone else, although they have the same signs and symptoms as you have. Inform your health care provider if you have any allergies. Do not forget to tell your doctor if you have kidney or liver disease. Let your health care professional know if you have high blood pressure or high cholesterol. Update your doctor with your medical history especially if you ever had bipolar disorder. Avoid driving or using any machinery that requires attentiveness. This list does not cover all the likely side effects. If you notice any of them, contact your health care provider immediately. It is not expected that everyone who uses this medication will face any of them. Be relaxed, as your doctor knows your medical condition and also knows the advantages of this medication are certainly greater for you than any of the risks and that is why he or she has approved this medication for you. As far as possible take your medicines regularly but if you happen to miss any dose then take it immediately as soon as you remember it. However if the timing for the next dose is approaching, then leave out the missed dose and take only the regular scheduled dose. Never try to take two doses jointly to cover the missed dose.